Nowadays, the common conscious is becoming a lot more aware of responsibility. Of social ethics and morality as well as environmental conscientiousness. It’s not only good for its own sake that a company tries to adopt these values. It’s also starting to prove profitable, even in demand. In this article, we’re going to look at some of the cores that can help you become a more conscientious company owner. Perhaps the biggest push of the ethically minded consumer is in terms of the product itself. Particularly, the focus that our modern society is pushing towards when it comes to living more sustainably on the planet. For a long time, it was thought that costs and practices of using sustainable materials in production was too high. Nowadays, however, stories like Hampton Creek’s disprove that. Read about Hampton Creek here. Read about how the companies once fighting it for using sustainable production methods eventually started to follow their lead. As more companies do the same, demand will increase and the costs will only go lower as a result. Now, sustainable production methods and materials are more viable than ever. 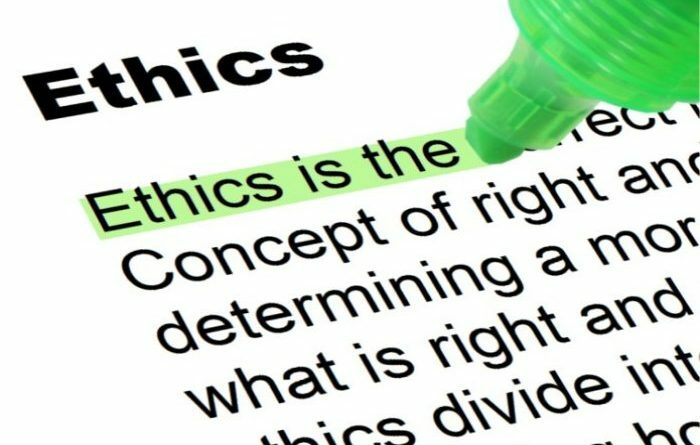 How a company involves itself with people also plays a role in the kind of ethical image it has. Not just in regards to treating customers with respect and honesty. But also how you treat your employees. Any business that hopes to be a success needs to treat the morale of its staff seriously. Neglecting them, either as a resource or as people, results in dissatisfaction. Dissatisfaction that can cost you good employees as well as money. If practices involving poor employment are made public, it also poses a serious risk to the public image of your company. Follow the Google slogan, ‘don’t be evil’. Make your workplace one that your employees are lucky to be a part of. If you want to show that you care about people, then get hands-on with them. Not only when it also contributes to the strength and profits of your company. Building a great public image helps, but if you want to do it well, you have to be prepared to take a loss every now and then. Particularly when it comes to getting involved in charity. There are a lot of great ways your business can do that. For example, by getting involved in promotions where part of return on products sold goes directly to a cause. You can also volunteer your individual skills and that of your staff. You can pay them to get involved in community organizations and make a positive impact. As we mentioned, these practices aren’t just full of merit. They can help you establish a successful business. It’s likely that we, as a people, are going to continue down this route. To become more concerned with being ethical not only to each other but to the world we inhabit. It’s best to get in front of that changing opinion instead of always following behind it.